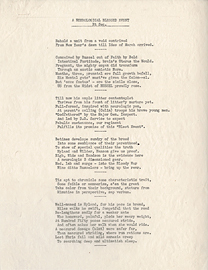 Displaying 1-10 of 46 results for the term Cone, William Vernon, 1897-1959. No. 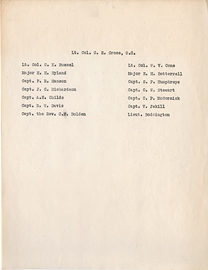 8., April 7, 1941. Subject : Cone, William Vernon, 1897-1959. Note from R.M. 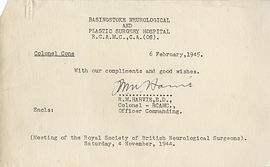 Harvie to William Vernon Cone, February 6, 1945. 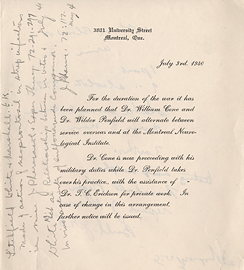 Subject : Cone, William Vernon, 1897-1959 -- Correspondence. 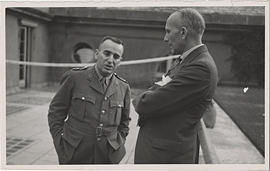 Wilder Penfield and Wiliam Cone, photograph. 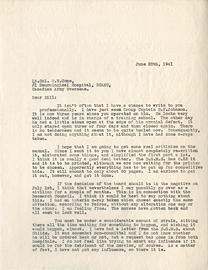 Letter from John Kershman to William Vernon Cone, July 23, 1943. 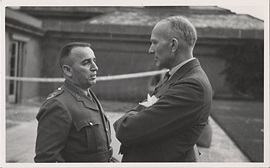 Wilder Penfield and William Cone, photograph. 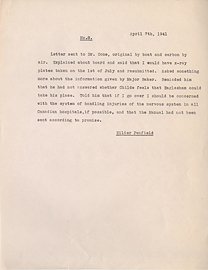 Letter from Wilder Penfield to William Cone, June 20, 1941. 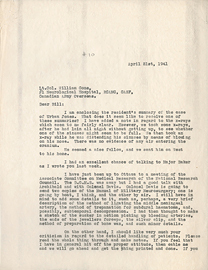 Letter from Wilder Penfield to William Cone, April 21, 1941. Lt. Col. C.E. Cross, C.C. 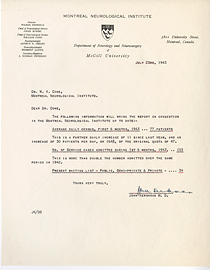 Printed Announcement, July 3, 1940. A Neurological Blessed Event et seq.